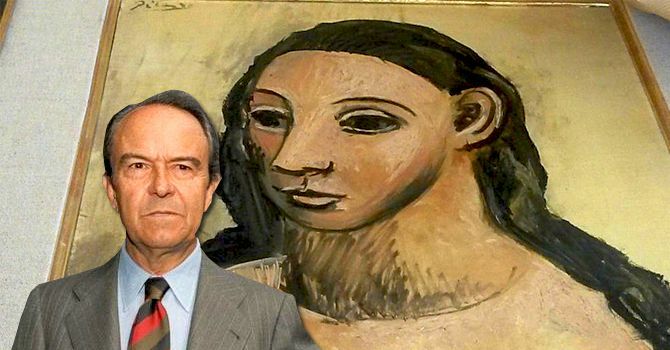 Spanish billionaire Jaime Botín, who has been accused of smuggling a work of art by Picasso out of Spain, could face four years in jail as well as a €1 million fine if the prosecution is successful. In 1977, Botín acquired Head of a Young Woman, which was painted by Picasso at the age of 24. It is one of the few examples of Picasso’s Gósol period, which art historians consider evolved into Cubism. In May 2015, the Spanish National Court declared the artwork a cultural national treasure, with a ban on the piece being exported. In August of the same year, the painting was taken to Madrid's Museo Reina Sofía, where it will be until the investigation is over. As well as the jail sentence and the fine, the prosecution is pushing for the ownership of the $30.4 million (€26 million) Picasso artwork be transferred to the state, under article 29 of the Spanish Heritage Law. Botín’s legal representatives are currently stating that neither the banker nor his advisors believed that sailing in the Mediterranean on European Union waters could violate the export ban.